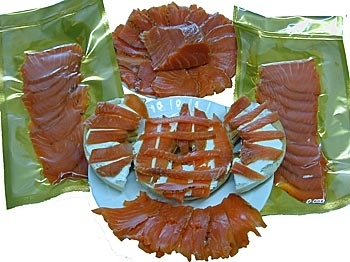 Our cold smoked sable lox is great for hors d'oeuvers or served with bagels and cream cheese much the same as you would salmon lox. 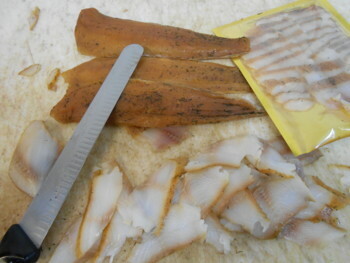 This light silky fish is dry brined with a hint of fresh garlic in our cooler for 36 hours then cold smoked.Sable fish is rich in omega-3 nutrition, and is also called butterfish or black cod. A sustainable seafood fished from the deep waters off the coast of Port Orford Oregon. 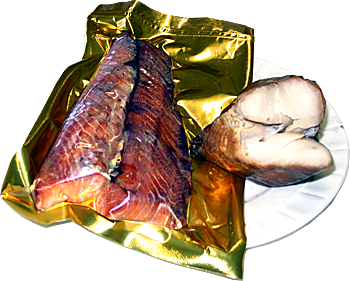 Our Smoked Sable fish has been wet brined in our own special mixture (contains naturally fermented soy sauce ) for 24 hours. Then we cold smoke it for approx. 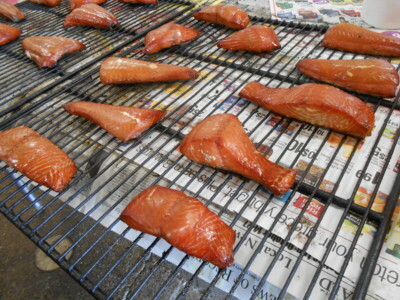 12hrs at a low temperature to let the fish absorb the Alder smoke flavor and finish off with a 160 degree cook cycle. 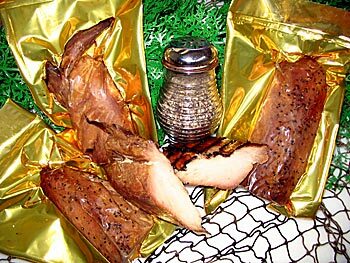 This delicious fish rich in omega 3 essential oils and is a real treat. 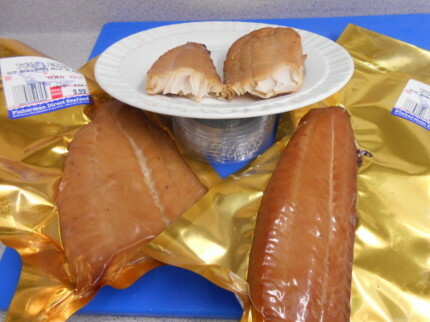 Albacore tuna loins cut into 1/4lb pieces and wet brined in our own special sweetened mixture,then Alder Smoked make this product a very delicious treat. In stock year round. 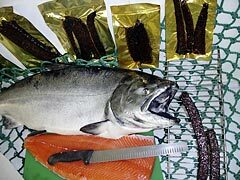 This delicious treat is sugar cured and Alder wood smoked, this Jerky is absolutely delicious. Seasoned with coarse ground black pepper. 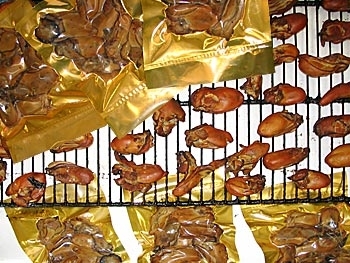 Vacuum packed in gold pouches and shipped chilled. Has 3% salt content. Please call to check for availability and the best shipping option for your location. (assorted weights, usually about 1/4 lb ea - sold by the pound)$34.50 lb. Imagine serving fresh Dungeness crab for your next special meal and enjoy the bold, succulent flavors bursting from this gourmet seafood delight. Our Dungeness are FRESH and fabulous! We own state-of-the-art Live Crab Tanks which the crabs dwell in after they are brought from the ocean. The tanks are seawater filtered with biological filters that remove ammonia and allow the crabs to purge their body waste. By purging, this ensures the meat will have a delicate, sweet, and satisfying taste. We then cook the crabs in saltwater and when they are done, they are put immediately on ice to seal in the freshness. Our crab have a phenomenal flavor and our standards of perfection are high so you know you are receiving an excellent product. 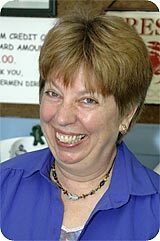 Just let us know how many Dungeness Crab you want to serve tomorrow! Shipped from the fishermen, direct to your door. Call us today for your order and we can give you an estimate for the shipping.